I’m not exactly sure how it transpired but it was magnificent. I was grading papers with a marker and somehow Adam got silly and tried to harass me. So in self-defense only, I gave him half of a (washable!) 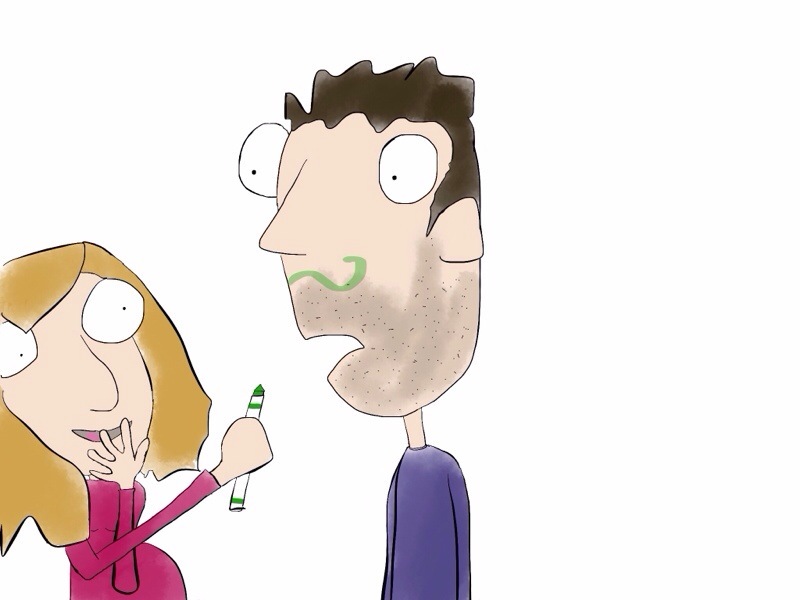 marker moustache. And I even gave it a little flair with a curl. He looked wonderful with a half of a curled green moustache on top of his beard he already sports.